I’ve answered to the name Muffin Mama since before my kids were born. 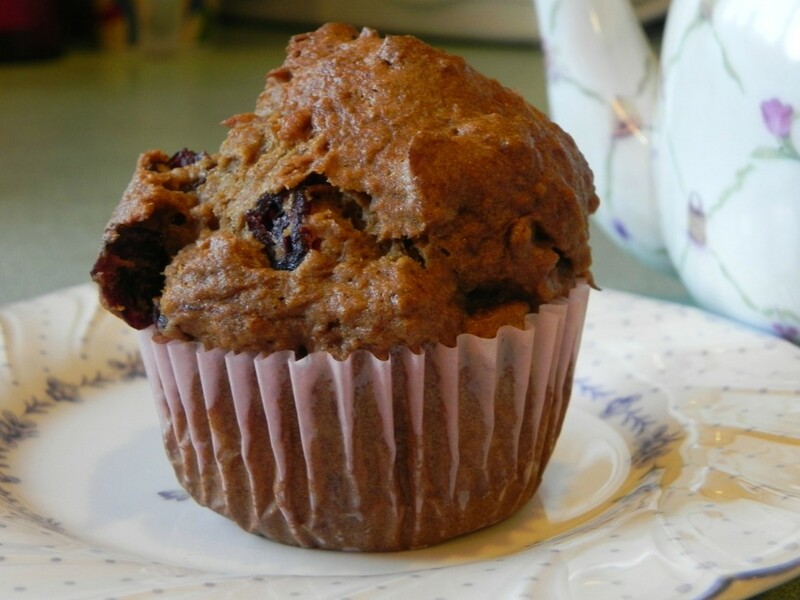 I love muffins, and there is often a pan of them baking at our house, filling the kitchen with fragrant lusciousness. When we learned that our boys were gluten- and casein-intolerant my husband and I went to Manna Mills in Mountlake Terrace and loaded up our shopping cart with little bags of non-gluten flour and grains and went home to see what we could make. We experimented with crackers and breads, cakes and cookies. It took a while to adjust our taste buds to the new flavors and textures and we discovered that some of the alternative flours and grains made more pleasing baked goods than others. Mix thoroughly, then stir in 2 cups Bette’s Featherlight Rice Flour Blend (see below). You will have extra flour blend to use another time. Next stir in 1 cup dried cranberries and ½ cup broken or chopped pecans. Stir to blend thoroughly. Prepare a 12-hole muffin tin with paper liners. Spoon the batter into the muffin liners, then bake at 350° for 20-25 minutes, or until a toothpick comes out clean.